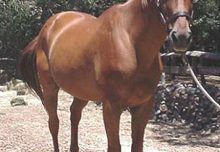 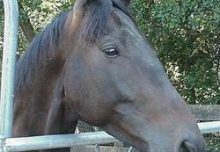 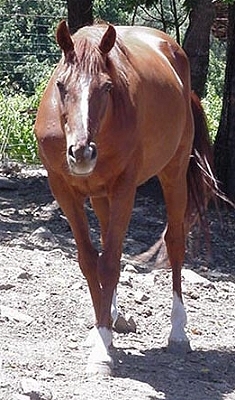 “Chunky” is an unraced gelding that thinks he’s part of the human family – although he gets along fine with his equine buddies. 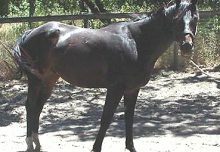 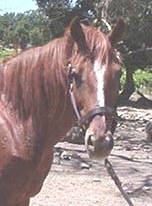 He arrived at the farm with a bowed tendon, which has set well. 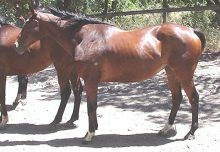 He has had some basic ring work, but prefers to play in the paddock with his friends.